Trump spy chief defends N.Korea talks, says Pyongyang bends to pressure - Integration Through Media ....! WASHINGTON, (AFP): Donald Trump deployed his spy chief Sunday to sell his snap decision to engage North Korea’s Kim Jong Un in momentous nuclear talks that the president himself predicted would be a “tremendous success” but others warn carry big risks. CIA director Mike Pompeo portrayed North Korea as buckling under the pressure of US-led international sanctions, and insisted there would be no let-up for the duration of the negotiations. “Never before have we had the North Koreans in a position where their economy was at such risk, where their leadership was under such pressure,” he said on Fox News Sunday. “Make no mistake: while these negotiations are going on, there will be no concessions made,” he said. The Sunday talk show appearances by Pompeo and others served to answer critics who warn that the talks, entered into by an impulsive, inexperienced president, carry high risks. If they fail, the two nuclear-armed states could then be left with few options short of military confrontation, experts on the years-long impasse with North Korea say. 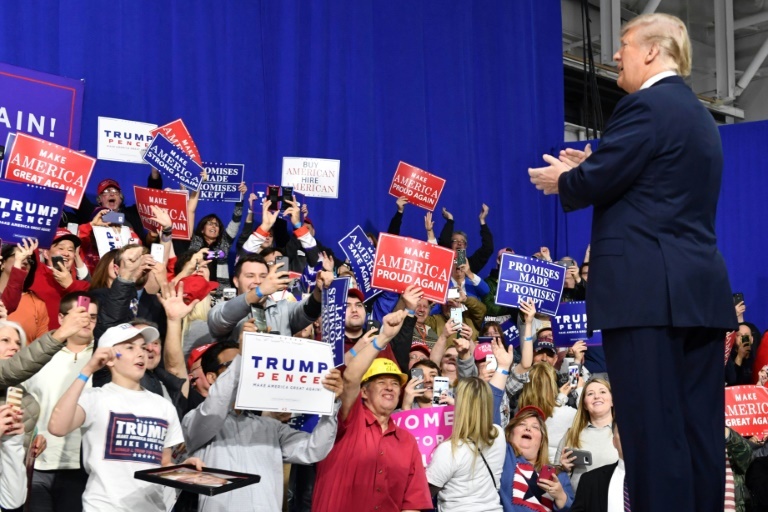 Trump used a Saturday night campaign rally in Pennsylvania steel country to defend his decision to sit down with Kim after months of insult-filled brinkmanship, replete with nuclear threats. “I think it’s time,” Trump told supporters. Trump accepted the invitation Thursday after it was relayed to him in an impromptu White House meeting with the South Korean national security adviser, Chung Eui-yong. Chung, who had met with Kim previously, told Trump that the North Korean leader had pledged to halt missile and nuclear tests during the negotiations, to discuss denuclearization and to raise no public objections to scheduled US-South Korean military exercises. What comes next is unclear. Pompeo said “channels are open” but he shed no light on how the United States will proceed or even whether it has heard back from the North Koreans on Trump’s agreement to talk to Kim. Two key Trump advisers were out of the country, US Secretary of State Rex Tillerson being in Africa and Defense Secretary Jim Mattis in Oman. Neither Tillerson, Mattis nor National Security Adviser H.R. McMaster has commented substantively on the North Korea talks. Trump reached out to the leaders of China and Japan in phone calls Friday, and later said he had received encouragement for the diplomatic gambit. Not everyone was so sanguine about the prospects of a breakthrough, however, and some Democrats shuddered at the thought of such sensitive — and potentially explosive — negotiations being in Trump’s hands. “I am very worried that he’s going into these negotiations and be taken advantage of,” Senator Elizabeth Warren, a leading liberal voice, said on CNN. She said that while diplomacy was good, the State Department has been “decimated” with no US ambassador in South Korea or an assistant secretary for the region. Republican Senator Jeff Flake of Arizona was skeptical that North Korea would abandon its nuclear weapons.